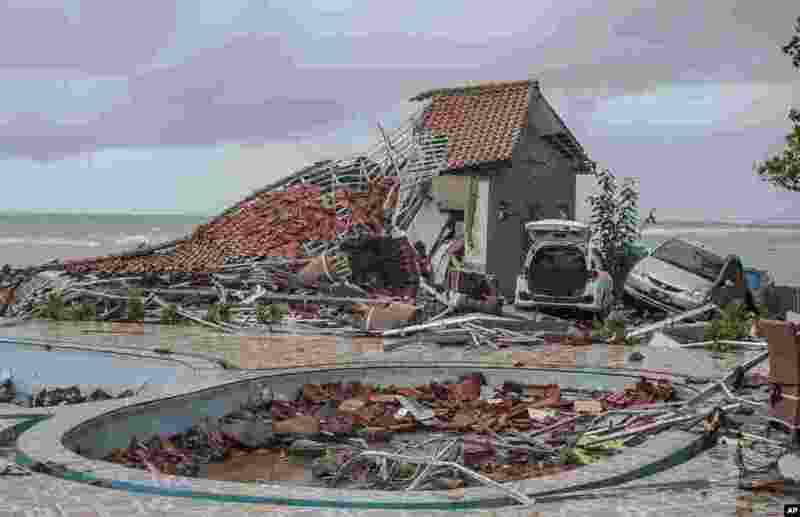 1 Debris littered a property badly damaged by a tsunami in Carita, Indonesia. 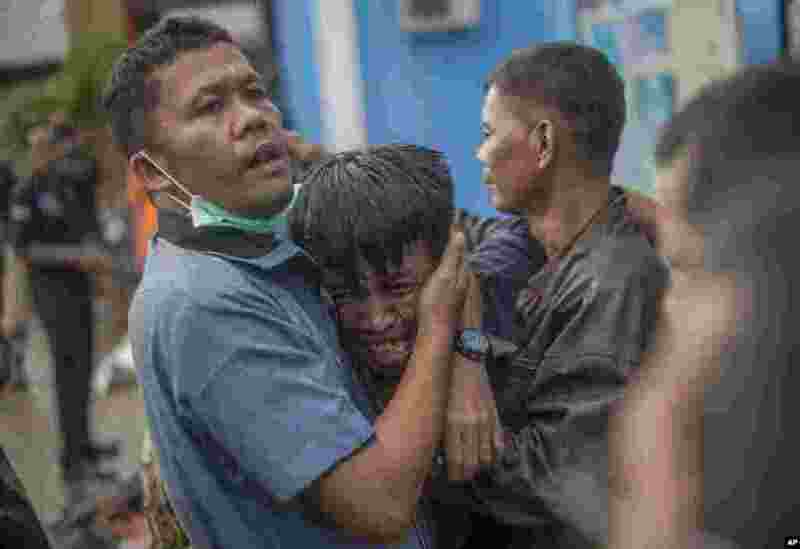 The tsunami struck after the eruption of a volcano around Sunda Strait during a busy holiday weekend, killing more than 200 people, sweeping away hotels, hundreds of houses and people attending a beach concert. 2 A man reacts after identifying his relative among the bodies of tsunami victims in Carita, Indonesia. 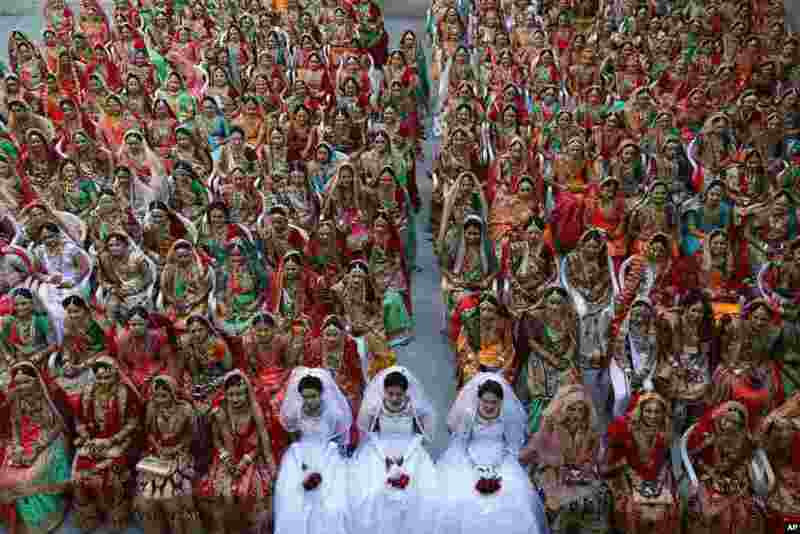 3 Indian brides sit together for a group photograph during a mass wedding in Surat. 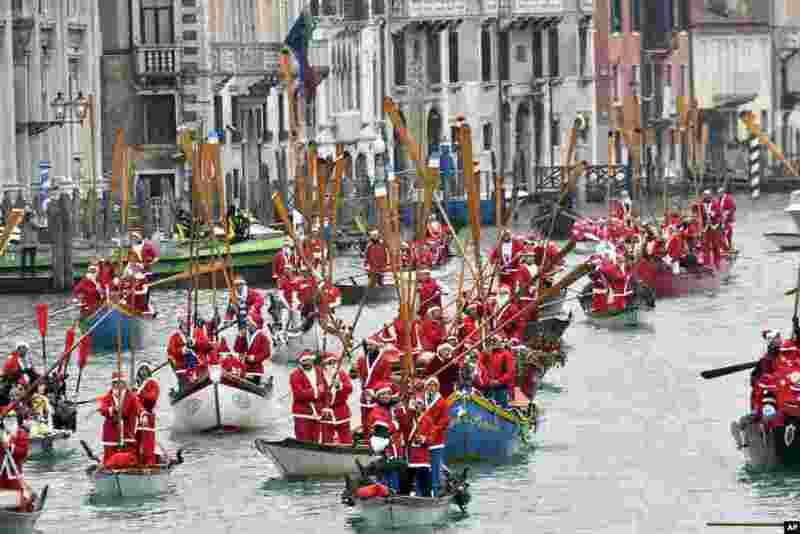 4 People wearing Santa Claus costumes sail along Venice's Grand Canal aboard traditional Venetians boats, Italy.